Barrel aged, french style cidre. Dry, and somewhat tart. Cider has citrus notes. Great tartness, nice barrel texture. Petulant. Not really complex but it works. 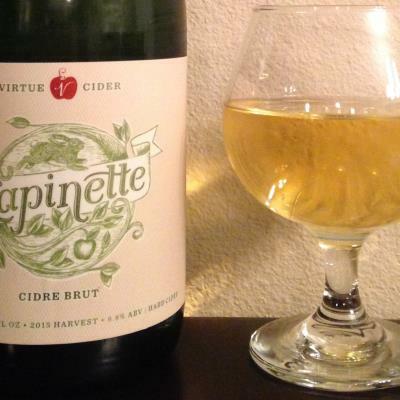 Based on the description, I was expecting a typical French cidre (apple-forward, the color of apple cider, although had I looked at photos of the cider I would have known better), but this is more Farmhouse-style, with heirloom apple flavor, astringency, and some sourness & funk. Not really my style, but well made, and a good value for $10.99 / 750ml. Notes of green apple, white grape, lemon, yeast, and mineral.